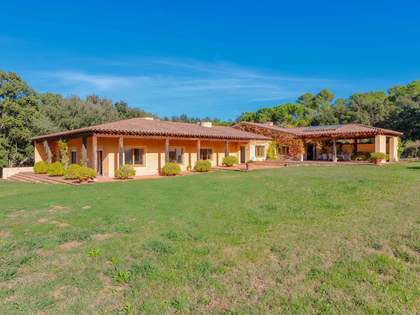 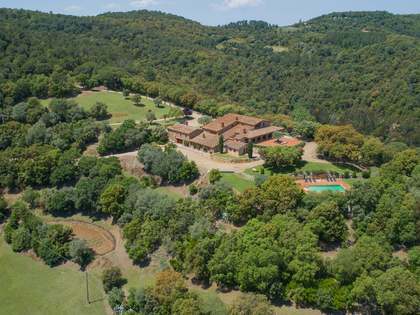 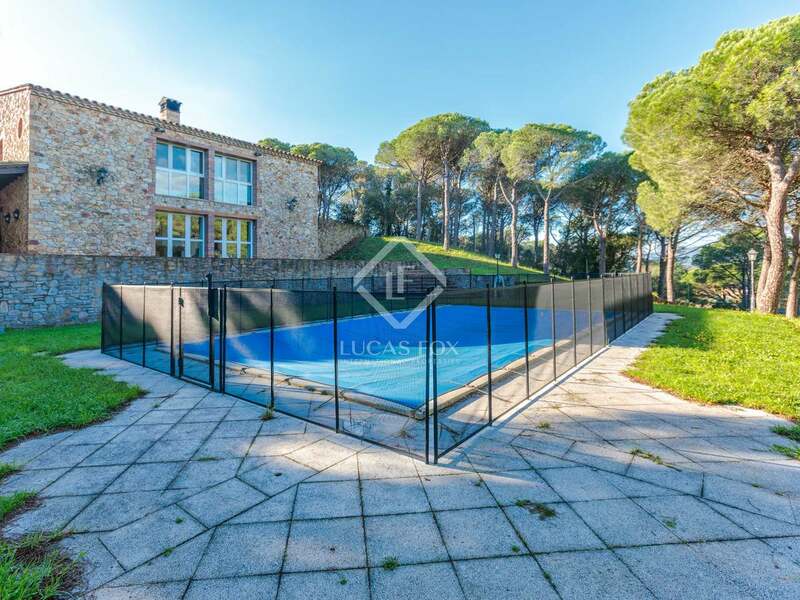 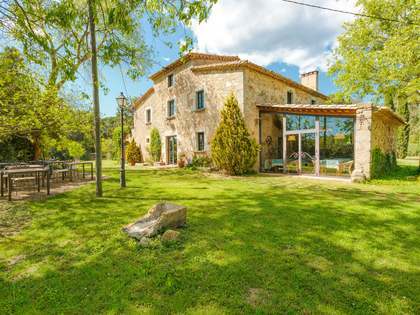 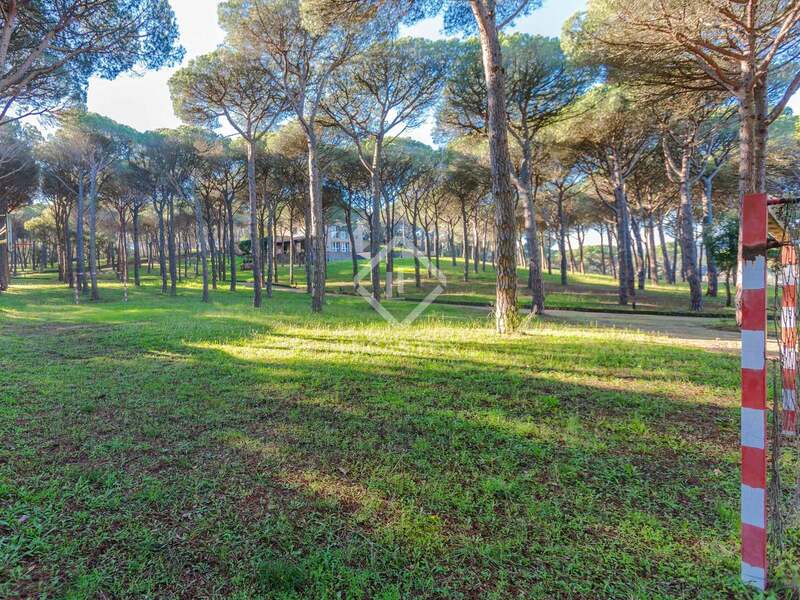 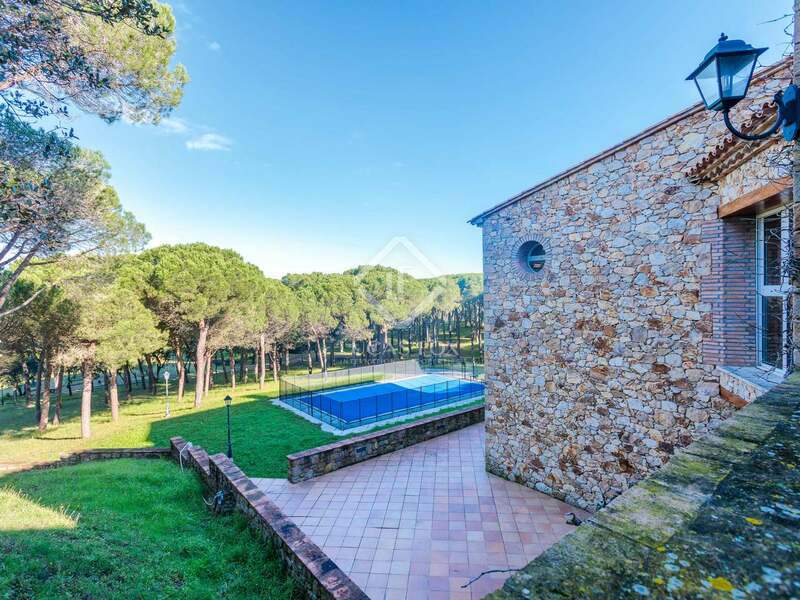 Superbly located property with 3,5 Ha of land and plenty of privacy, in one of the most exclusive areas of the Costa Brava. 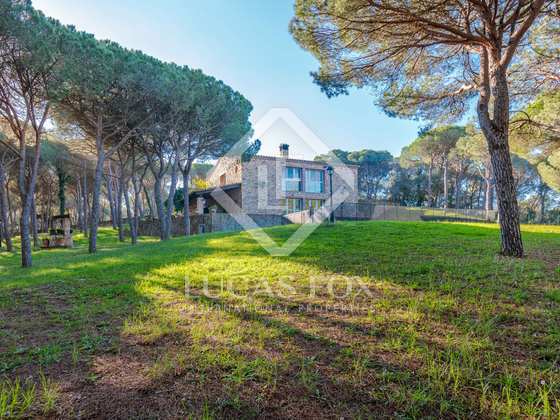 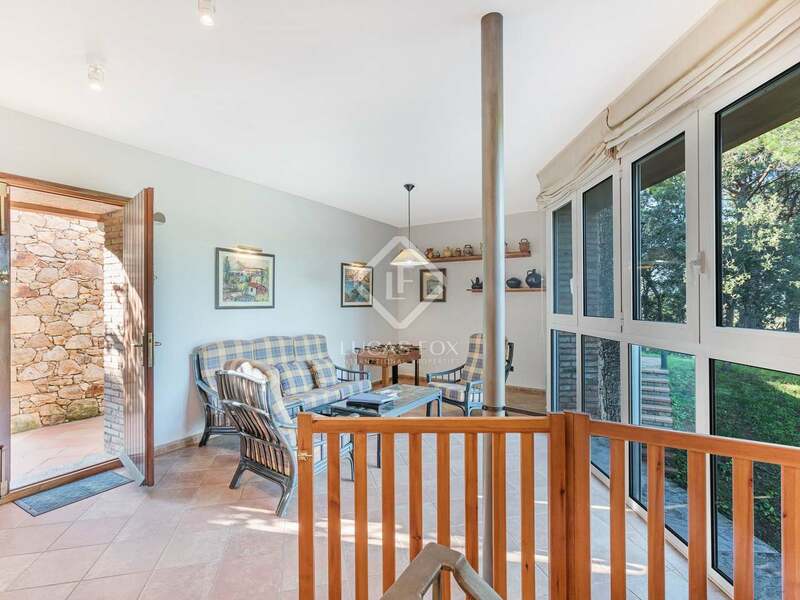 This lovely rustic style house built in 1992 is set on the top of a hill, surrounded by a private pine tree forest. 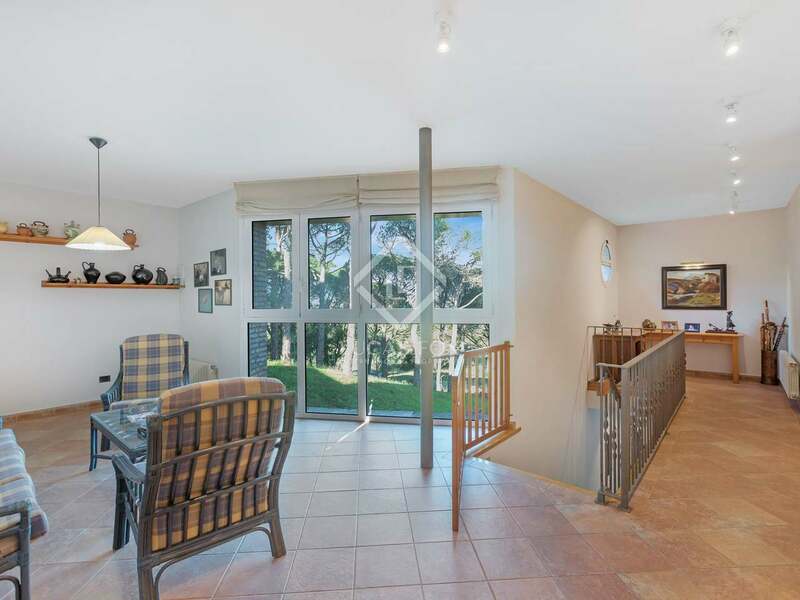 Constructed over two levels, the ground floor of the main house compromises a spacious combined living and dining room with a fireplace, a kitchen with a wine cellar next door, a WC and a large porch ideal for outdoor dining. 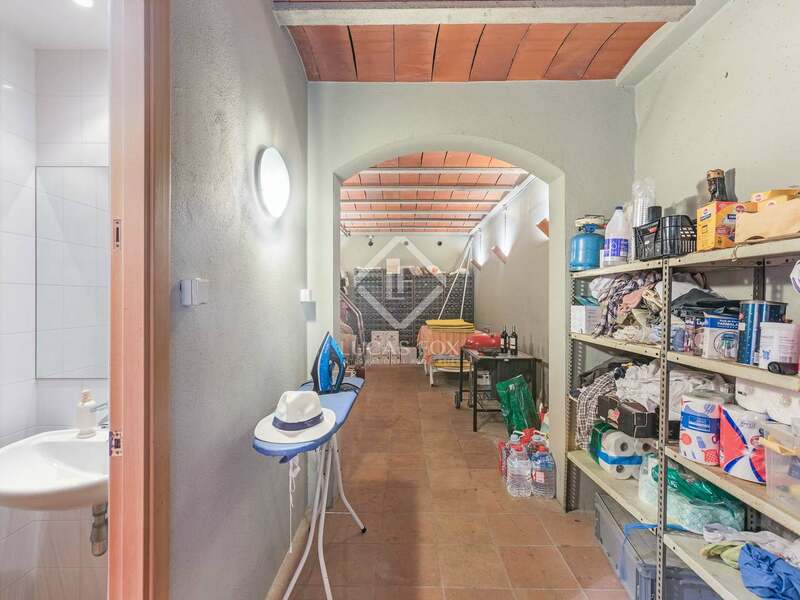 There is also an annex games room, utility room and toilet. 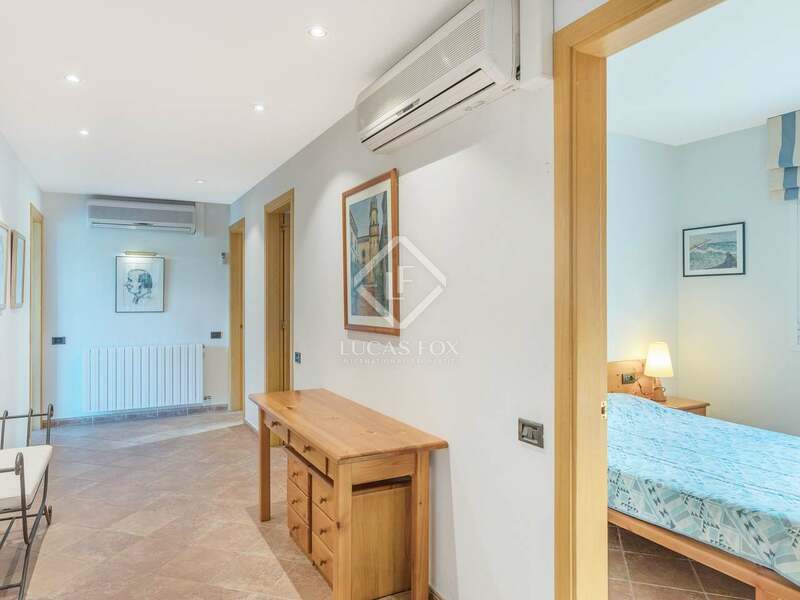 On the first floor there are 3 double bedrooms that share two bathrooms, a master bedroom with en-suite bathroom and a bright lounge area that could make a great office or reading space. 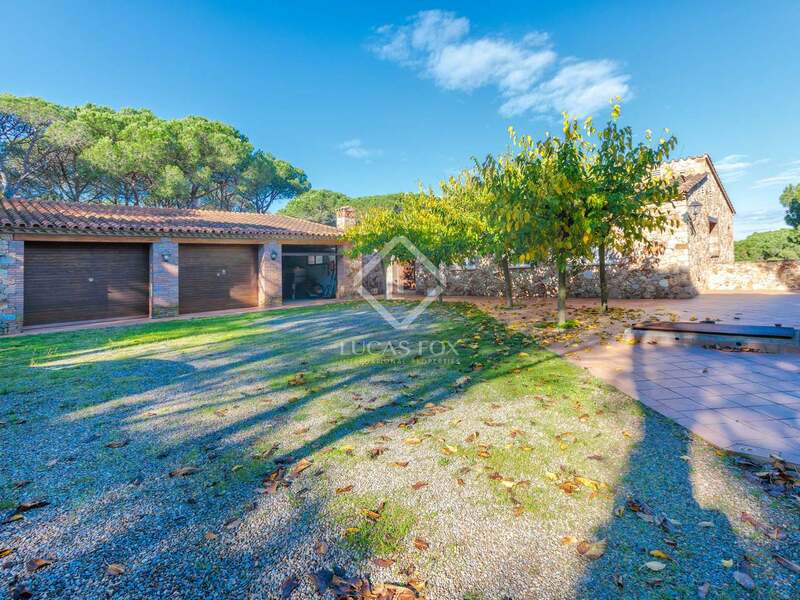 There is also a separate 80m² garage which could be converted into independent guest or staff accomodation. 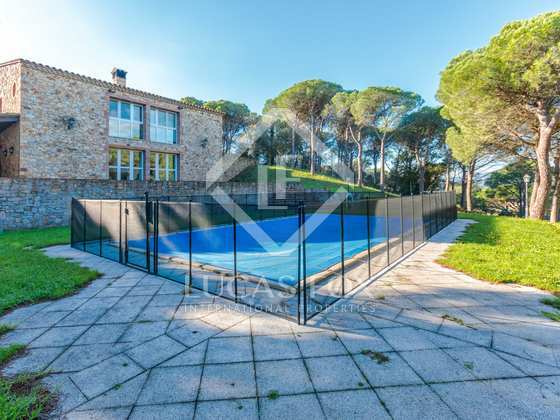 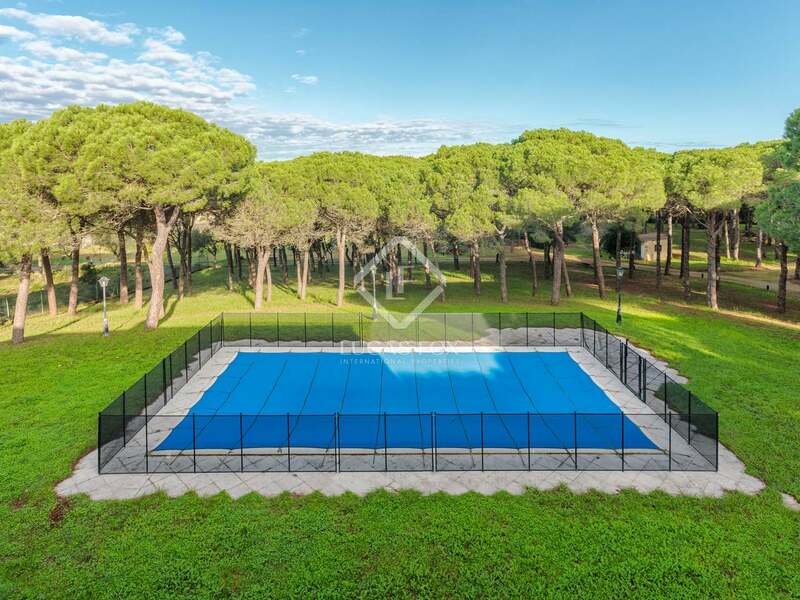 There is a 50m² pool just below the house and all the surrounding gardens have automatic irrigation. 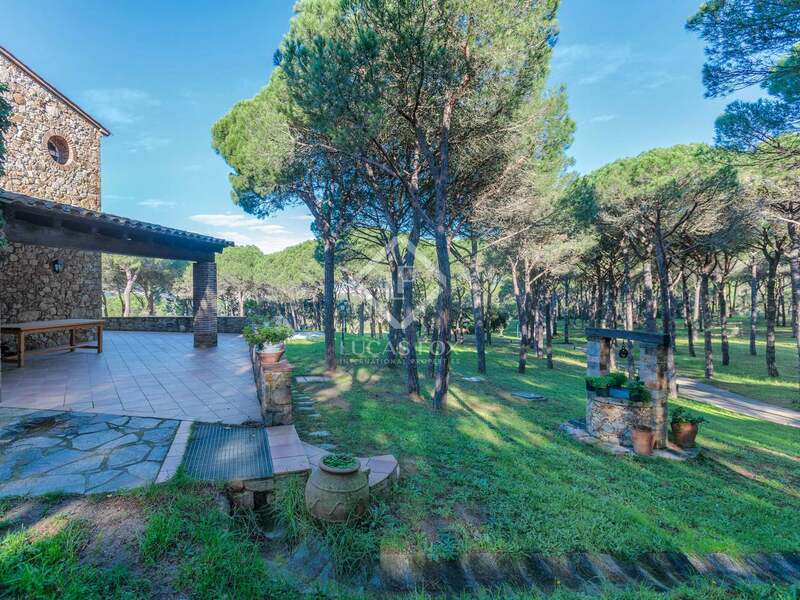 The property enjoys a fantastic orchard with around 100 fruit trees, a small separate shed for keeping gardening equipment, exterior lighting and a private well. 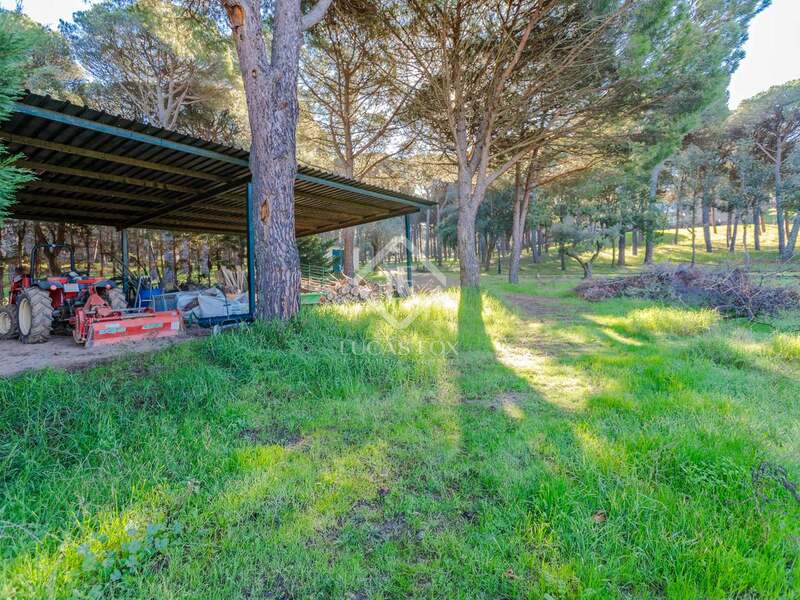 The property is completely habitable but would benefit from some interior updates and would enjoy amazing views if some of the pine trees were to be removed. 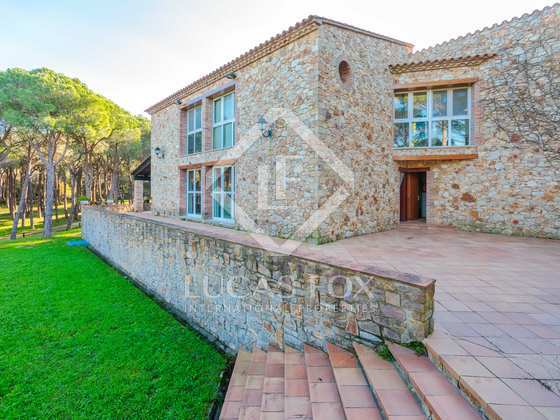 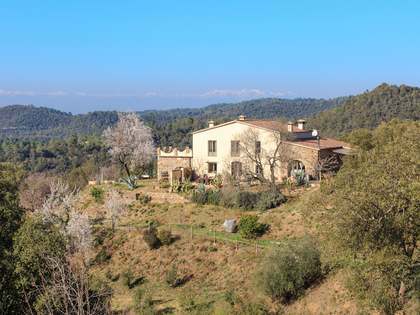 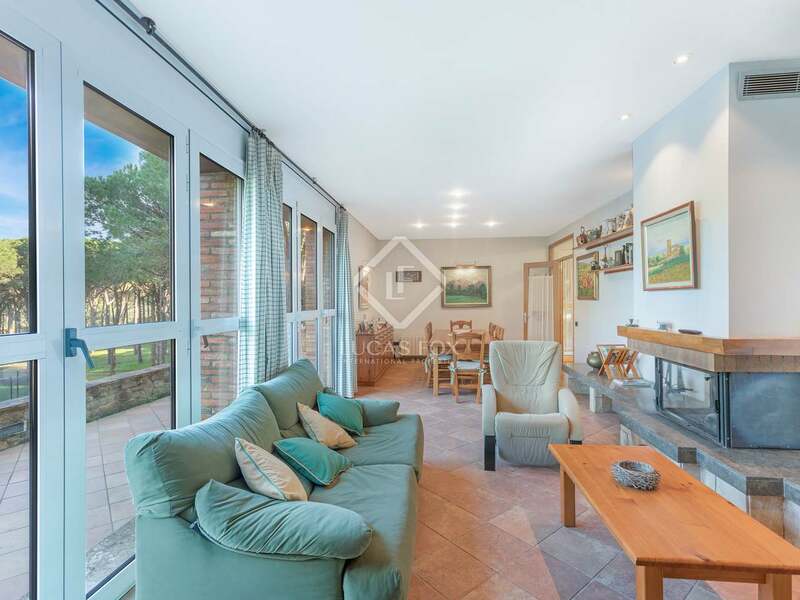 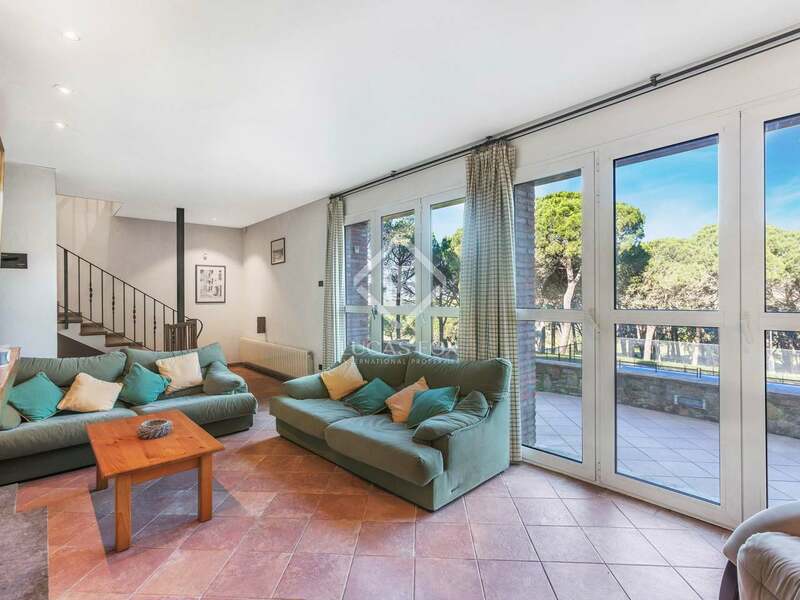 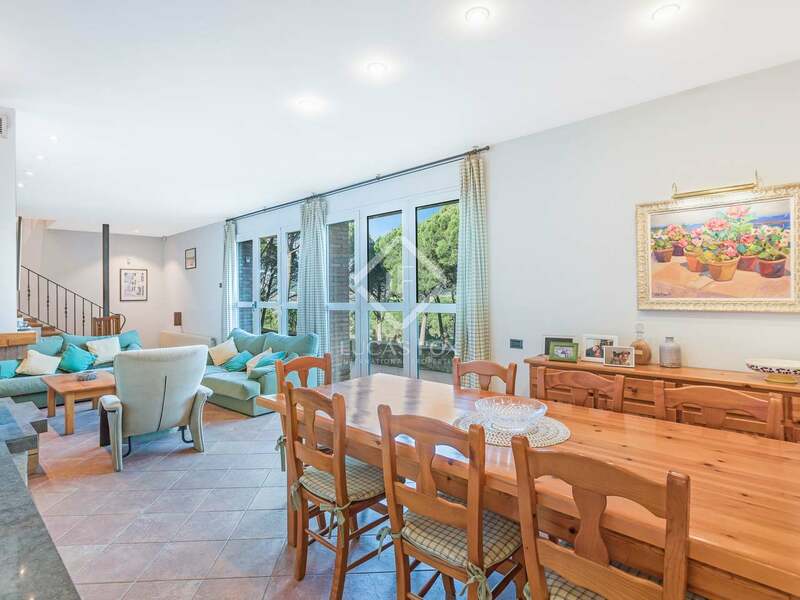 Rustic house situated in one of the most exclusive protected areas of the Costa Brava, just 1,5 km from the beach. 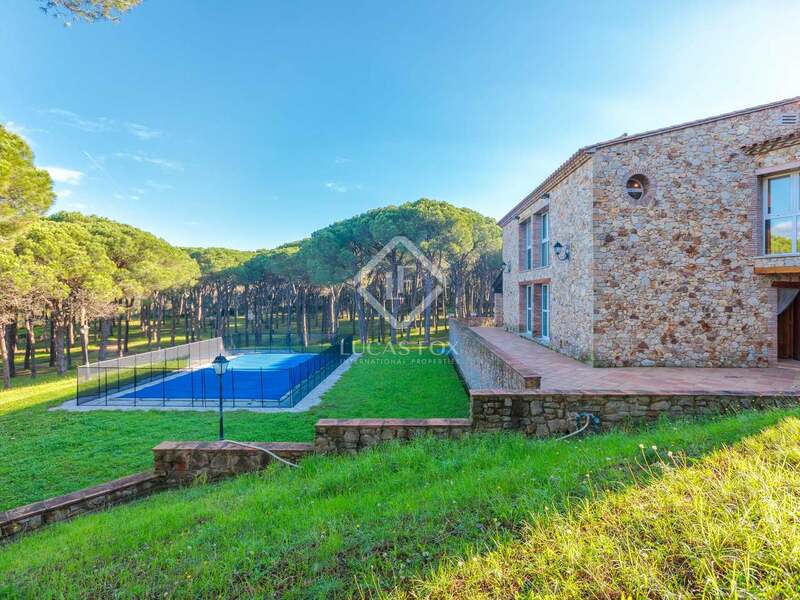 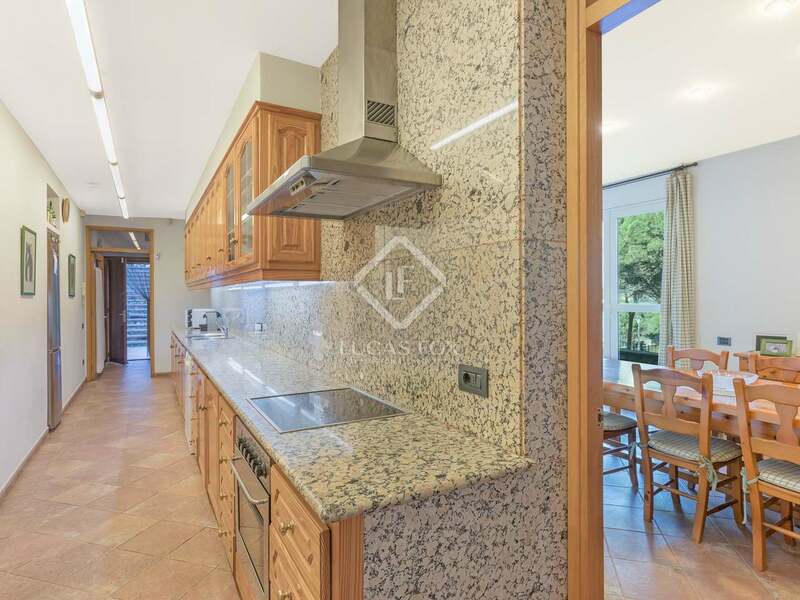 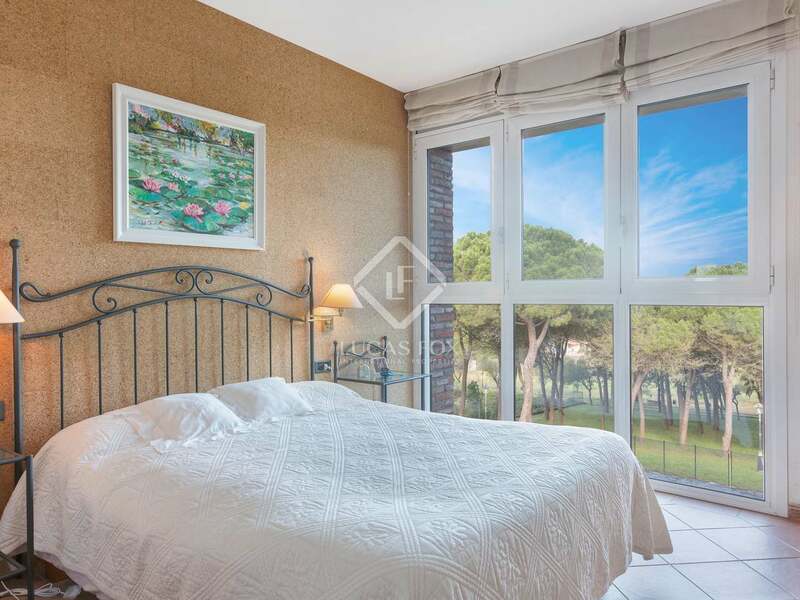 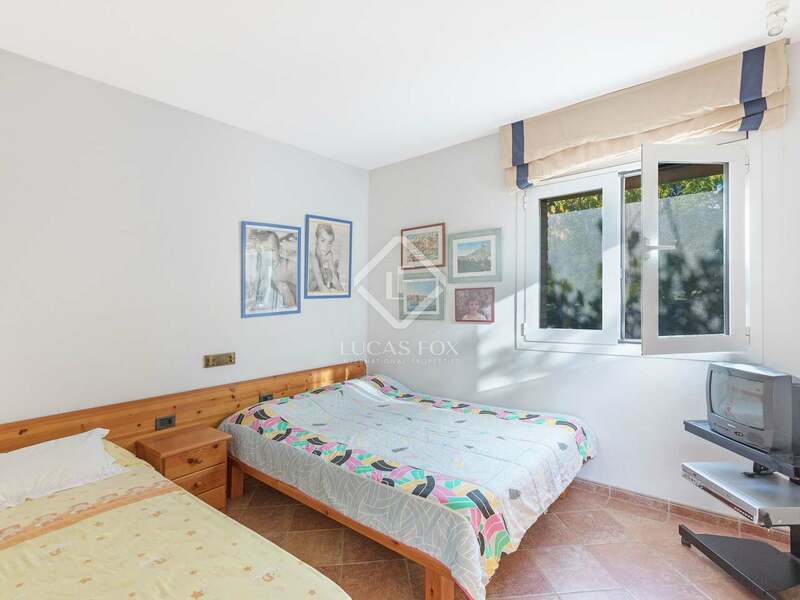 The property is located in a beautiful countryside setting just 1,5 km from the beach and the nearest villages. 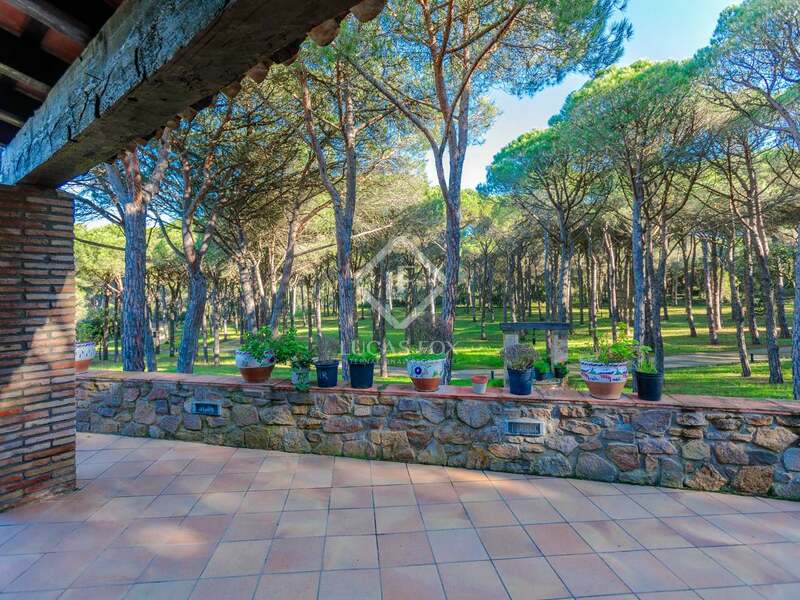 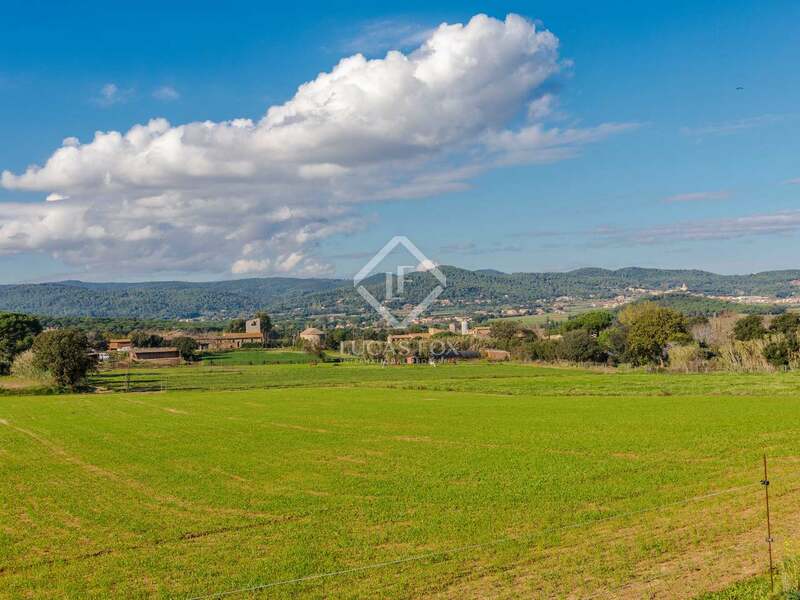 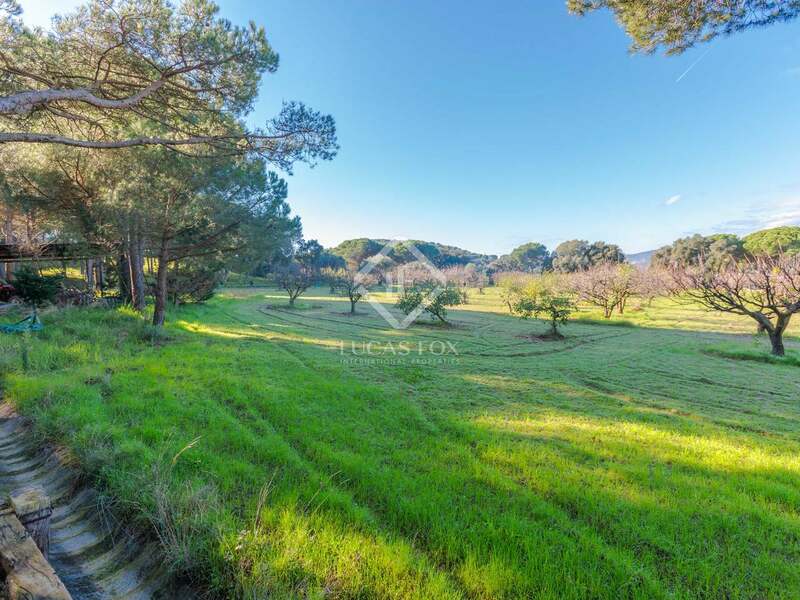 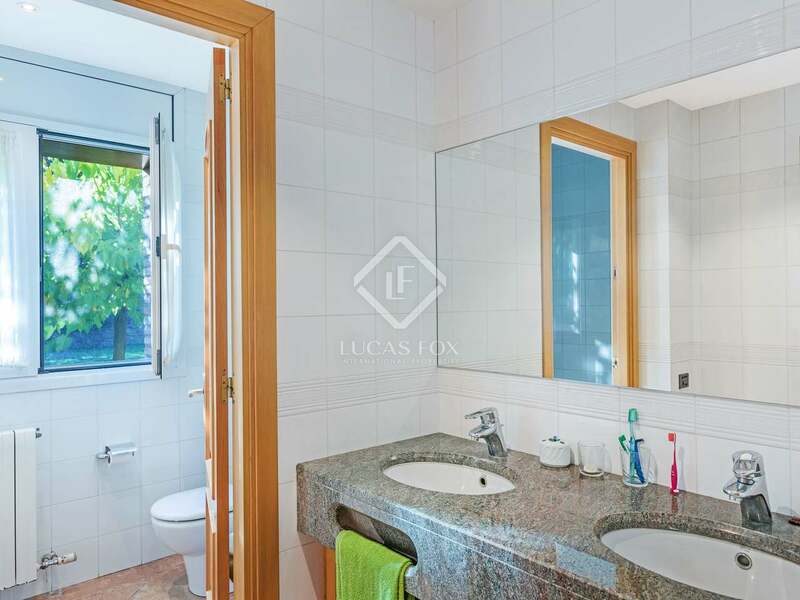 The property is next to a Natural Park with over 1000 Ha of forests, fields, coves and beaches. 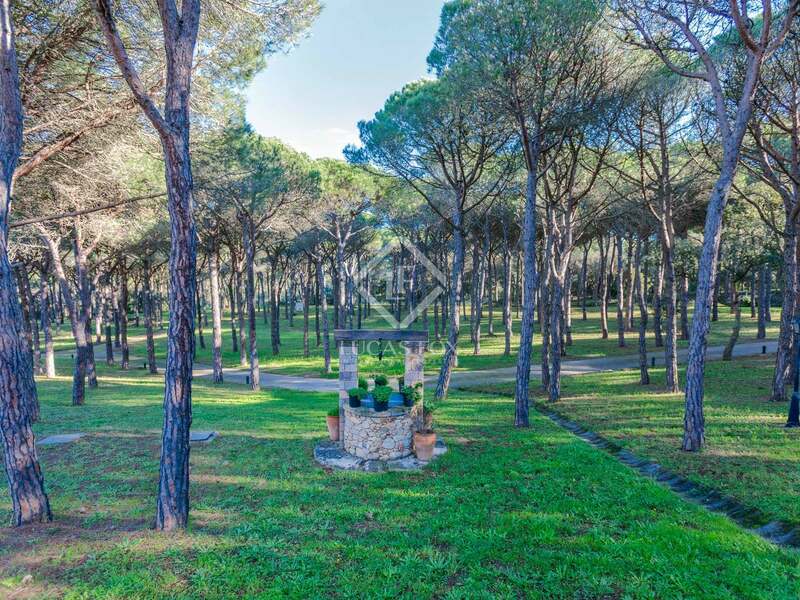 It is possible to cycle or walk to the nearest beaches along pedestrian green lanes.